Loadscan has increased its presence in the Northern Hemisphere. 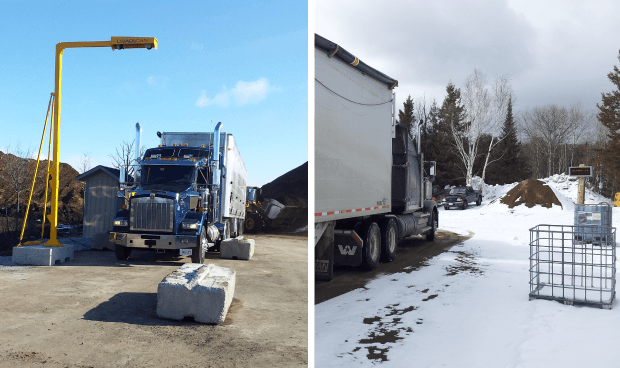 Loadscan Ltd. director Carey West has recently returned from a business trip to Canada to oversee the installation of Loadscan load volume scanner (LVS) systems in Ontario. 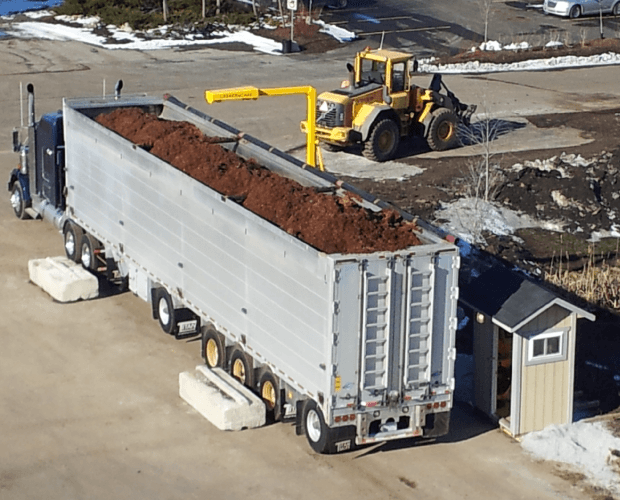 There, the LVS scanners are being used by a company specializing in the production of bulk organic materials landscaping. Gro-Bark in Ontario purchased two block-mounted LVS systems in March 2013. They are now being used at Gro-Bark’s Bancroft site, and at the company’s Georgetown, Toronto site. Gro-Bark purchased the LVS systems to accurately account for product brought in for inventory from outside suppliers, and to check trucks have been loaded with the correct amount of product ordered by customers. “Initial reports from Gro-Bark is that the information coming from the scanner is of great value,” Carey says. He says the Gro-Bark purchases mark the sixth and seventh LVS systems sold by Loadscan Ltd. since December 2012 – when Loadscan starting manufacturing the product under license to Hamilton-based company Tally Clerk LVS.